There’s a new No. 1 in Women’s College Hockey. 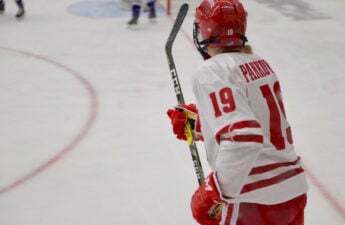 After an impressive weekend sweep against the visiting Princeton Tigers (0-2-0, 0-0-0-0 ECHA), the University of Wisconsin women’s hockey team has clawed its way back to No. 1 in the country, a position it held for 18 consecutive weeks last season. The Badgers (8-0-0, 2-0-0-0 WCHA) earned all 15 first-place votes in the USCHO.com Division I women’s poll Monday, thanks in large part to performances by freshman Sophie Shirley and junior goalie Kirsten Campbell. After falling behind 1–0 early to the Tigers in Friday’s matchup, Shirley helped lead the Badgers back into the game with an offensive clinic. Slicing her way from behind the net late in the first period, Shirley tied the game with a crafty backhand goal. A few minutes later, she assisted a goal to junior Abby Roque to put the Badgers up 2–1. Junior Alexis Mauermann added a goal of her own to extend the lead to 3–1 to close out the first period. Shirley netted her second goal of the game in the third period on a beautiful passing sequence between her, Roque and Sam Cogan to extend the Badger lead to 4–2 after another Princeton goal. Princeton added a third goal with five minutes remaining, but the Badgers held on to win 4–3 in a competitive series-opener. After a day off Saturday, Sunday’s affair proved to be more one-sided for the home team. The Badgers outshot the Tigers 12–5 in the first period and controlled the puck for the majority of the game. Shirley followed up Friday’s three-point performance with another offensive showcase. Midway through the second period, Shirley netted her fifth goal of the season, this one a rebound off a shot from Roque, who now leads the NCAA with 14 points and is tied for the NCAA lead in assists with nine. The two forwards are tied for the team-lead in goals with five-a-piece. Junior Kirsten Campbell recorded a career-high 25 saves Sunday, earning her first shutout of the season. For the Badgers, having a larger margin of victory in the second game was especially important given how competitive the first match was versus the Tigers. 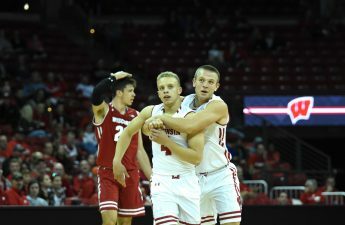 Head coach Mark Johnson liked the way the Badgers rebounded from Friday’s contest Sunday, but sees some room for improvement, particularly with capitalizing off scoring opportunities. To nitpick, some may see the Badgers games as too close despite their undefeated record. 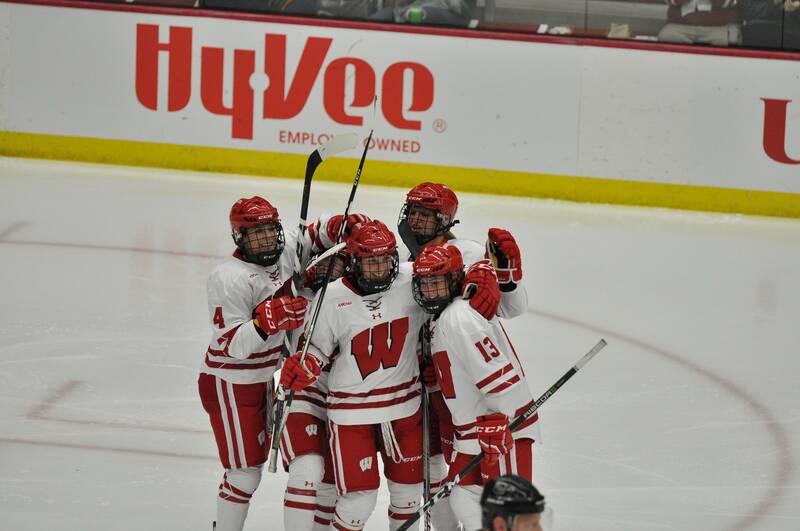 Five of Wisconsin’s first eight games have been decided within two goals. Though he’d like to win by more, Johnson said having competitive matchups will be beneficial for the team in the long run. 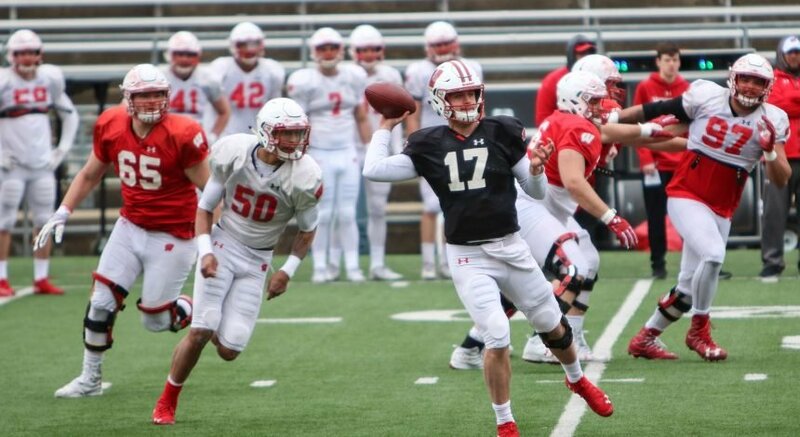 The NCAA’s all-time leader in wins is still optimistic. And with reason. 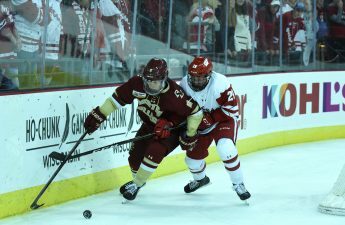 The 8-0-0 Badgers are back atop the national rankings, a position they have grown accustomed to under Johnson’s stewardship. Up next, the Badgers take on Border-Battle rival No. 3 Minnesota (6-1-1) at LaBahn Arena this weekend in what is sure to be another intriguing matchup.